FUNKYRIFFIC: IN THE MIND OF J.K ROWLING : HOWDID SHE DO IT? IN THE MIND OF J.K ROWLING : HOWDID SHE DO IT? Whenever I open and about to start reading Harry Potter.. I have to bare in mind that there is one thing that I have to sacrifice in order to engage myself in this realm of witchcraft and wizardry. But yeah.. i just need to finish these 2 books in order to strike off goal no 324. During my pursuit, I am enthralled and amazed at every single page. The story and plot were well composed. The characters tend to develop from time to time. Everything somehow.. perfect. How the hell Rowling did it??? Why is she so freaking creative?? again.... is Rowling a witch?? She's human. I think. Well, physically..yes. and a damn good storyteller. When she started writing..never could she imagined that a young geeky looking boy named Harry will bring her fame...along with fortune of course.Rowling is true to herself and she tells her story just how she wants it to be told and she did it her way....not by the expectations of the readers. I want to tell my story. The way i want it. I could manipulate, add some salt and spice, put some love into it and in the end it's MY story. What Rowling had written.. is something that she imagined. She knows that her followers may not like the ending or what so ever..but she wants to tell it in her own way. After all...she creates them. I would give 5 STARS for the HARRY POTTER SERIES. Though i have yet to finish reading book no6 : Harry Potter and the Half Blood Prince, i know I'll be able to complete this pursuance even before end of this month. Thank you Rowling for creating such awesome series. 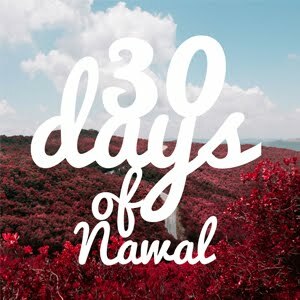 Hi Nawal! Syuhada here (BATI, USM, Aman Damai 2003-2006)...i can't agree with you more about J.K Rowling...i myself am A NEW FAN of Harry Potter and i really totally wonder at her imagination! It is SO great...it turned me from a hater of HP to unashamed MANIAC of Hogwarts!